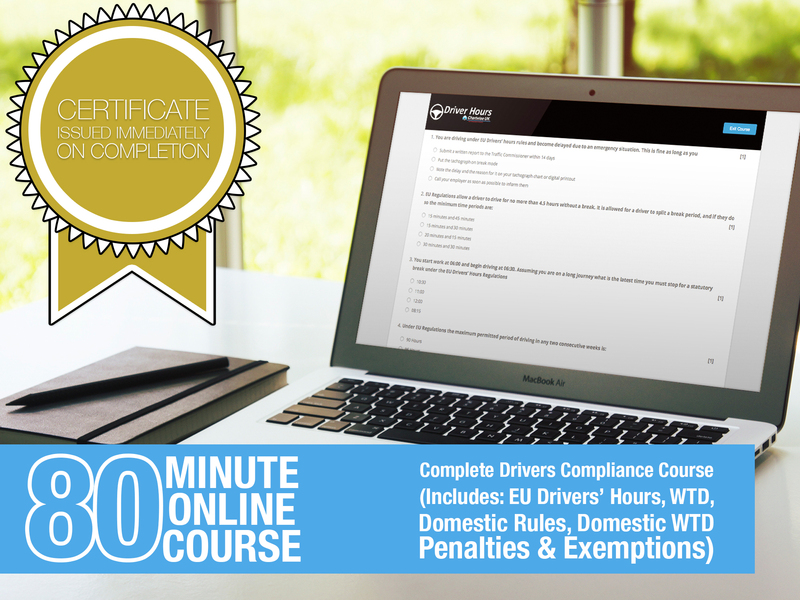 The Complete Drivers' Hours Awareness course covers everything a new driver needs to know in order to stay compliant with the EU Drivers' Hours, Domestic Driving rules and the working time regulations. 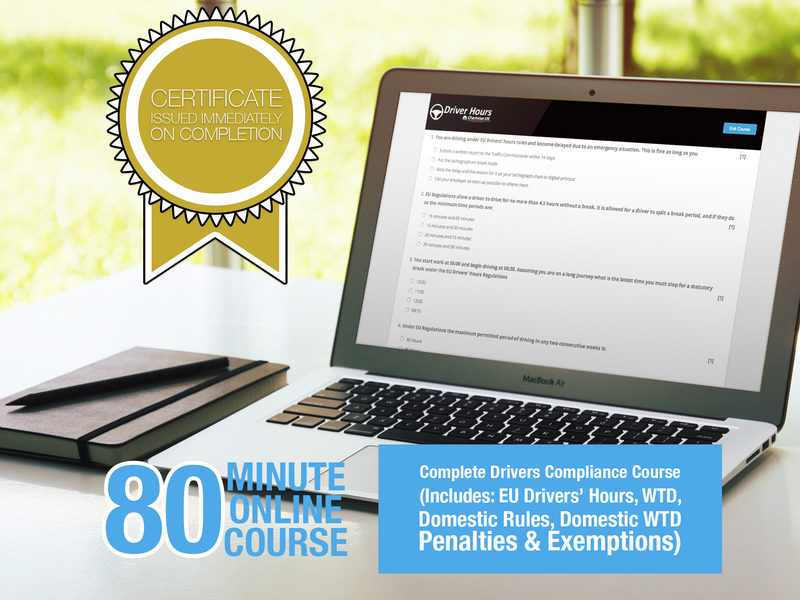 Upon successful completion of all modules the candidate will receive a certificate of achievement confirming successful completion of the Drivers' Hours Awareness Training. 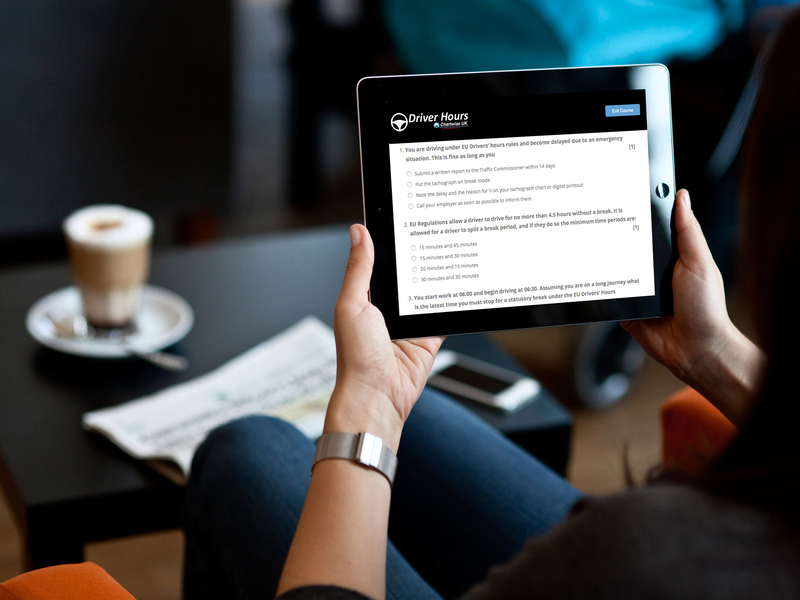 This course will take 1 hour and 20 minutes to complete. 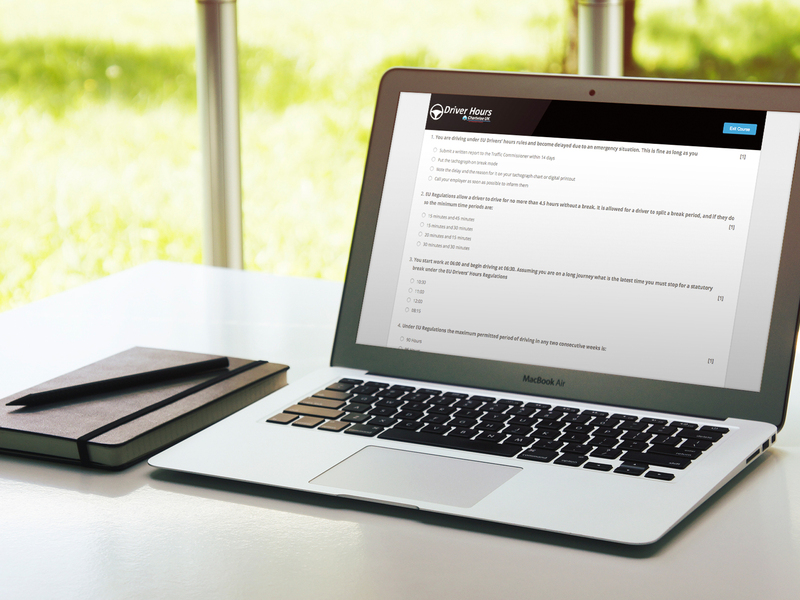 After each module there will be a short multiple choice quiz to assess understanding. 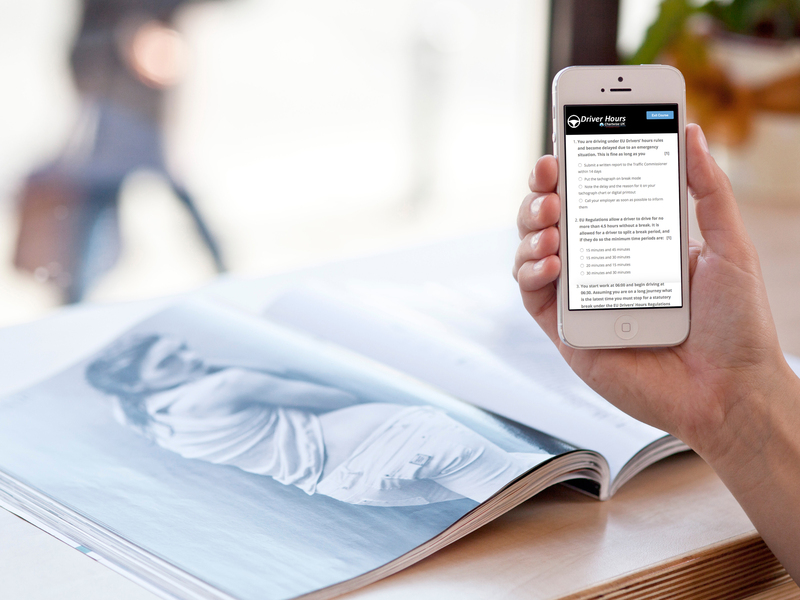 A pass of at least 70% must be achieved before you can proceed to the next module. 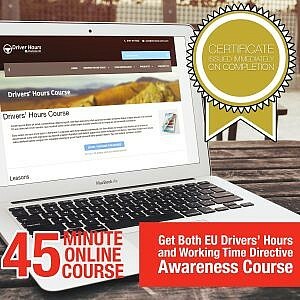 Upon successful completion of all modules the candidate will receive a certificate of achievement confirming successful completion of the Drivers’ Hours Awareness Training. 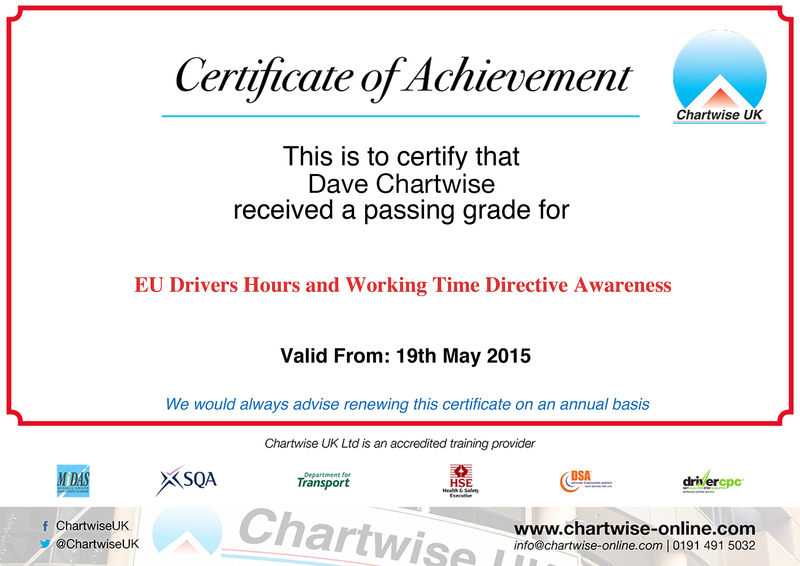 This certificate can be printed off immediately if required.